A distinct pattern has been found in the so called infinite, non-recurring decimal of Phi (N = 1:1.618033988…), the Living Mathematics of Nature and Biology, the place where the elbow bends in relationship to the whole of the arm. Like Pi (A= 3.1412… the relationship of the Circle’s circumference to its Diameter), mathematicians, for thousands of years, have been obsessed in finding internal patterning in these transcendental numbers. 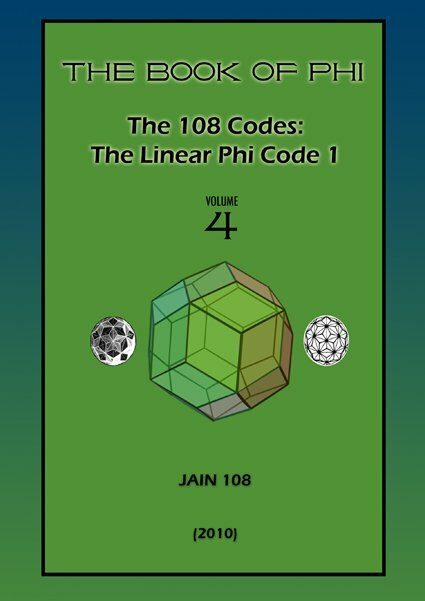 By stepping “In The Next Dimension” Jain has successfully cracked the Phi Code, by isolating a recurring pattern that has a distinct periodicity of 24 digits that re-align as 12 Pairs of 9, but it is not visible nor understandable in Western Maths, only in the Eastern Vedic Mathematics. The latter utilizes a special Sutra or Formula that Digitally Compresses multi-digits to single digits, eg 144 = 1+4+4 = 9. His discovery and concept is officially known as the 17th Sutra, (a follow on from the incomplete set of 16 traditional vedic mathematics formulae). 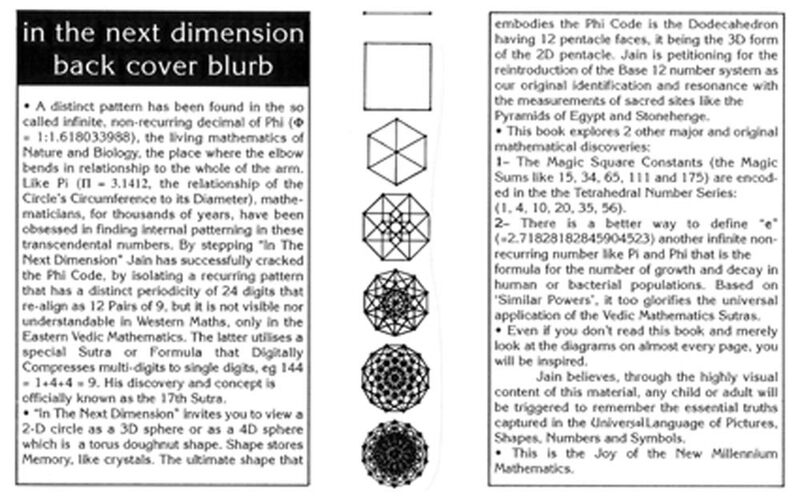 This book contains 199 photocopied pages, is hand-written in parts but mainly computerized, highly illustrated, the book is a golden rectangle but fitted or orientated to A4 landscape , and wire bound. 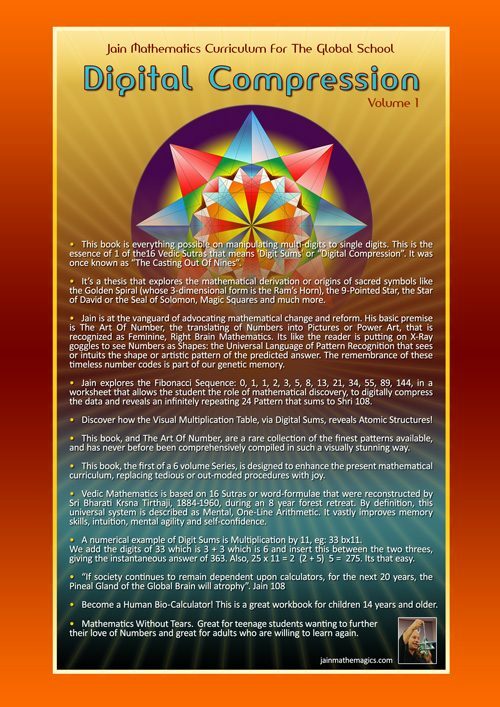 This book validates Base 12 and Base 9 as the Galactic Maths and Base 10 as the Earth Maths necessary for quick Rapid Mental Calculations as in Vedic Mathematics. The 108 Phi Code is embedded in the Dodecahedron which is the 3-Dimensional Form of the Pentagon. 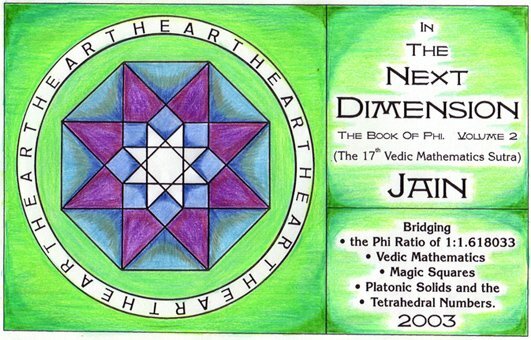 This book reveals the discovery of Jain’s original formulae in the field of sacred geometry eg: the sequence of Magic Square Constants: 15, 34, 65, 111, 175, 260 etc exist in the next dimension as triplets of Tetrahedral Numbers. Jain has also discovered a more efficient way of expressing Nature’s Number, the exponential “e” based on the powers of numbers relating to Vedic Sutras. The Powers of Numbers like ‘x’ squared and ‘x’ cubed etc really relate to different dimensions: (“e” = 2.71828182845904523 infinite, relates to populations of bacteria, and human populations etc). 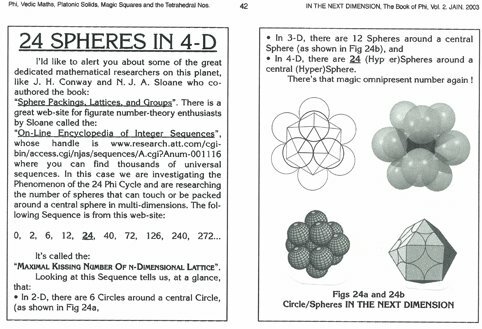 This book also explores shapes in 2D, 3D, 4D etc giving the reader a greater insight into the 5 Platonic Solids and the 14 Archimedean Solids as clues to Atomic Structure. 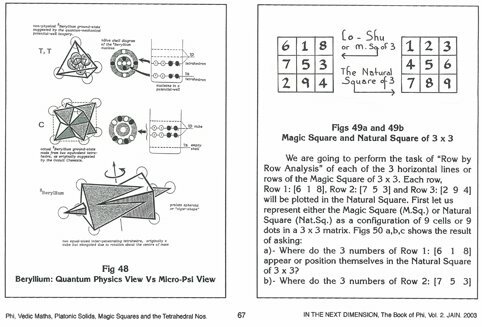 Jain also shows his original work with 2D Magic Square Patterns resembling identically the shadows of the atomic structure of 3D crystals like Berylium. Jain explains how Shape Stores Memory. Shapes, like crystals, know how to Store Memory. Think of the silicon chip whose atomic structure is the Star Tetrahedron or two inter-digitating triangular based pyramids. It knows how to store and memorize great and almost unimaginable quantities of data! It is also the 3D form of the 2Dimensional Star of David. This book is the result of 25 years of investigation into number patterns mysteriously tapping into nuclear geometries. Even if you don’t read it and merely look at the diagrams on each page you will be inspired. 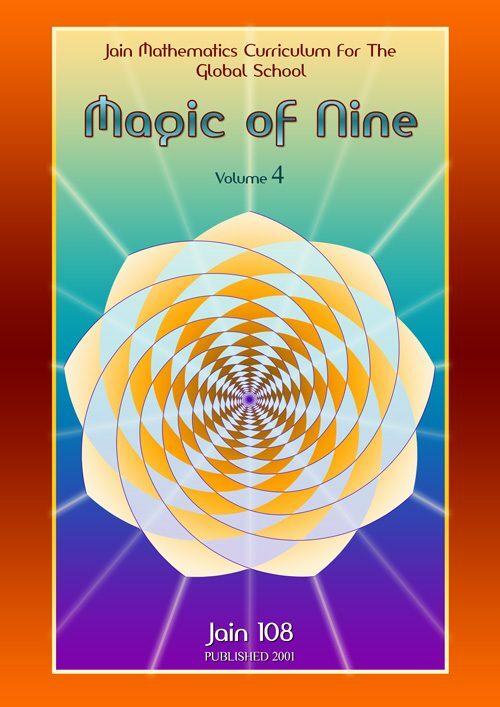 Whereas Volume 1 examined the intricacies of the Golden Spiral, which is more feminine in nature, this book is more masculine, in that it examines the nature of the 5 Platonic Solids, the stark geometry of the Star Tetrahedron (that has 24 faces and 24 edges) and the Cuboctahedron (having 24 edges) both shapes which know how to capture the 24 Repeating Pattern. This Phi Code of 108 can now be plugged into musical sequences, architectural designs, vibrational medicines, astral hygiene, or any other form of inspirational application. It is a universal Code of perfected Harmonic Health. 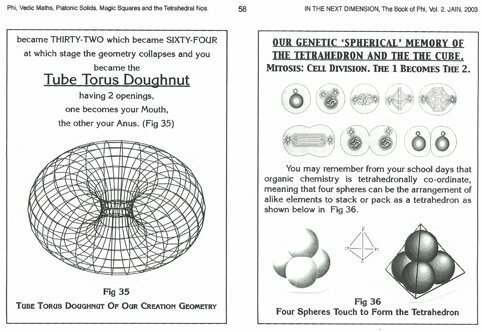 “In The Next Dimension” invites you to view a 2-D circle as a 3D sphere or as a 4D sphere which is a torus doughnut shape. Shape stores Memory, like crystals. The ultimate shape that embodies the Phi Code is the Dodecahedron having 12 pentacle faces, it being the 3D form of the 2D Pentacle. 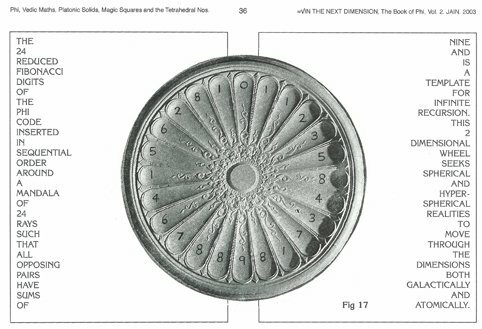 Jain is petitioning for the reintroduction of the Base 12 number system as our original identification and resonance with the measurements of sacred sites like the Pyramids of Egypt and Stonehenge. (1, 4, 10, 20, 35, 56). formula for the number of growth and decay in human or bacterial populations. Based on ‘Similar Powers’, it too glorifies the universal application of the Vedic Mathematics Sutras. Even if you don’t read this book and merely look at the diagrams on almost every page, you will be inspired. Jain believes, through the highly visual content of this material, any child or adult will be triggered to remember the essential truths captured in the Universal Language of Pictures, Shapes, Numbers and Symbols. This is the Joy of the New Millennium Mathematics. 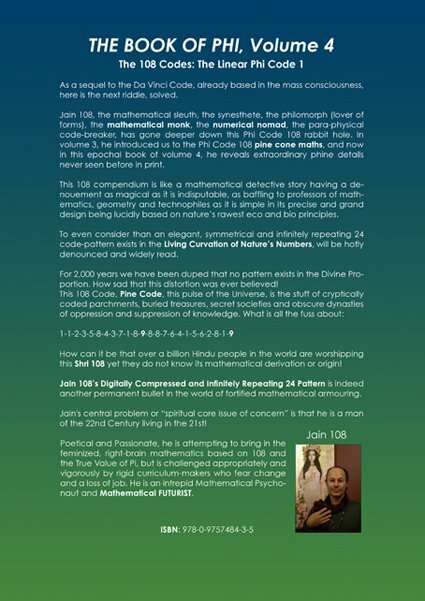 – Determining the Value of PHI Using Only Vedic Mathematics. – Determining the Dual Roots of PHI (via Internal and External Division of Unity’s Square. Incorporating Archimedean Solids, 4th Dimensional Pentatopes and HyperCubes. – PHI and the Sutras. 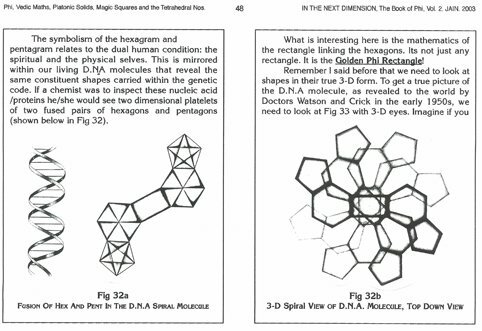 – Our Genetic Spherical Memory of the Tetrahedron and the Cube. (Section 1 of 2). – Includes Chris Illert’s Micro-Psi Platonic Solid Symmetry of the Elements. – Magic Square of 3×3 Creating the Atomic Structure of Beryllium. – More Notes on PHI. – Magic Squares and HyperCubes. – Our Genetic Spherical Memory of the Tetrahedron and the Cube. (Section 2 of 2). – The Derivation of PHI using Graphs. – The PHI Code of 24 Recurring Digits and Rodin’s Coil. – References to ’24’ in the 4th Dimension. – The 17th Sutra. Linking of the Magic Square Constants to the Triplets of the Sphere Packing Numbers of the Tetrahedron. Section 1 – What are the Magic Square Constants? Section 2 – The Squared Numbers. The Cubic Numbers. Section 3 – The Triangular Numbers. Section 4 – The Tetrahedral Numbers. – Tetrahedral Micro-Fossils of Spores and Pollen. – The Oracle of Delphi. Section 5 – The Square Pyramid Numbers. 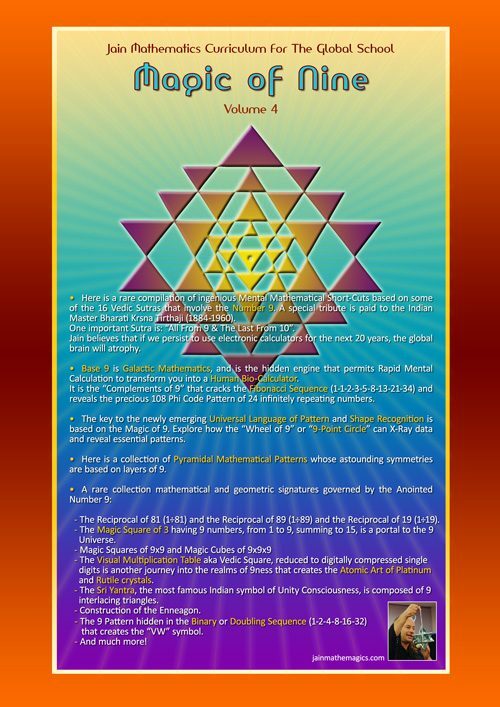 – The 3-Dimensional Sri Yantra. PART 3B – An Original and Better Way to Express “e” (the Exponential Function 2.718…). 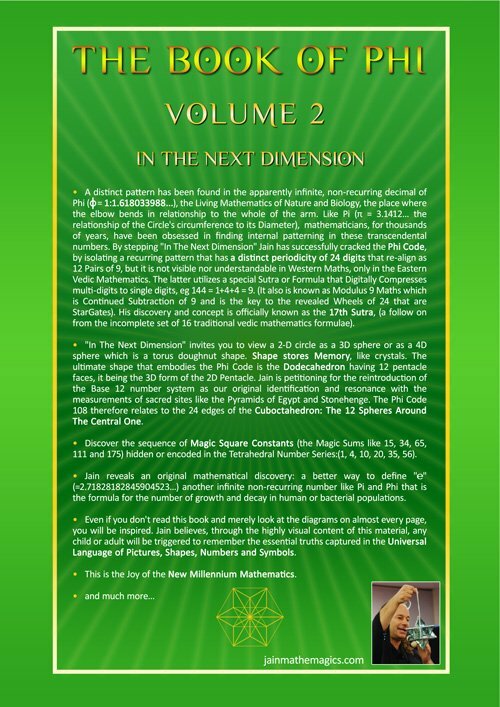 Section 1 – Why the Number 9 is Uniquely Inter-Dimensional. 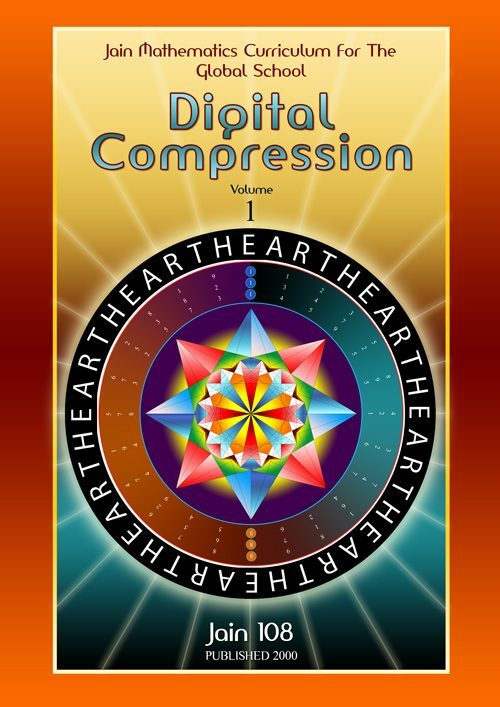 Section 2 – An Advanced Earth-Heart Meditation. Section 3 – Platonic Solid and Phi Spiral Diagrams for General PhotoCopy Use. – ACKNOWLEDGEMENTS of GRAPHICS USED and NOTES. – NUMBER’S INDEX: The Harmonic Stairway. – A Description of Jain’s Books and Video. – The Importance of Base 12, Jain’s Petition and Prophesy. 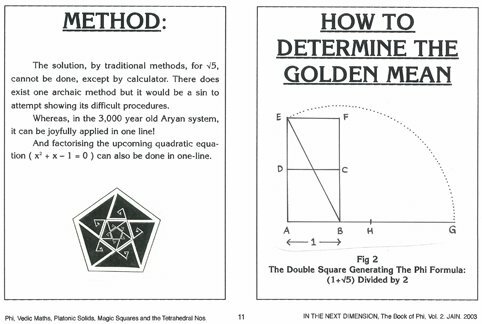 Showing how the Golden Rectangle is formed from the Double Unity Square which was sacred to the Egyptians who used the Double Cube as the template design for their Altars. The ancient “Wheel of 24” Time Code, holds the secret to nature and physics. nb, all opposing numbers have a sum of 9! Thus there are 12 Pairs of 9, except for one pair that has a double 9 Pair! This is part of the enigma, how to explain this double-hydrogen-like bond as seen in DNA! The Cuboctahedron has 24 edges and 24 internal triangular vectors, allowing or permitting its very shape to alchemically store or embed the Phi Code of 24ness. DNA displays both Penta (5-ness) and Hexa (6-ness) in its molecular arrangement. Therefore ignore any teachers who profess only pentacle mathematics, or just hexagonal mathematics, as either view is sloped towards one side, and not integrated as is dna in its perfected 5 and 6 state. Notice the golden rectangle that joins the Penta-Hexa geometries, it is the double hydrogen bond in the phi ratio! 4-Dimensional View = Torus, millions of ram’s horn shapes converging to form the toroidal domain whose Inside is the same as its Outside. 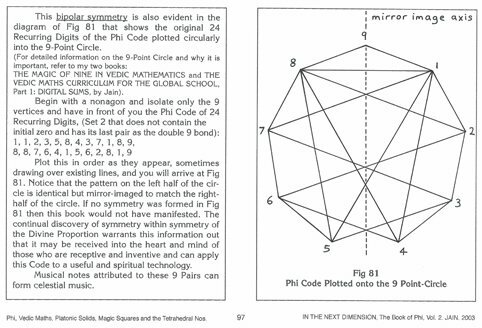 The Phi Code of 24 Digitally Compressed Repeating Numbers plugged into the famous 9 Point Circle, to demonstrate balance around the axis line running through 9 and 4.5, and divine symmetry. This is an ideal futuristic or new age circuitry design since the invisible electron flow is moving in a harmonious path of least resistance. Pascal’s Triangle has many interesting numerical sequences running through it in all kinds of directions. 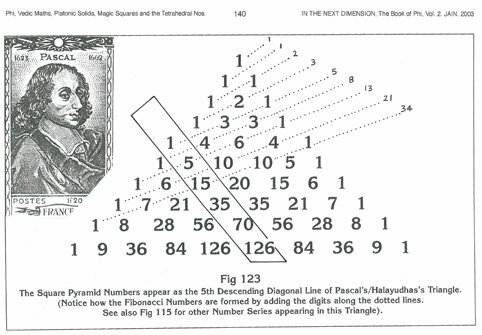 Shown here is the diagonal summations that add up to the Fibonacci Numbers. Ultimately, we need to embed this Phi Knowledge into our Hearts. 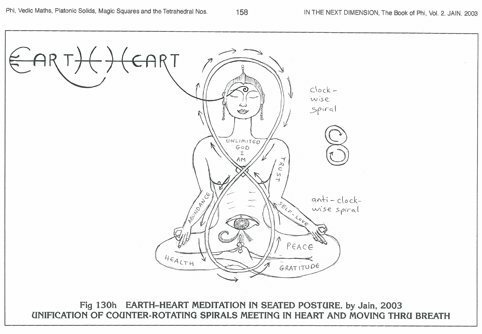 This is achieved by an understanding of the EarthHeart Meditation that is simply One Breath into the Heart, and then an expansion outwards to fill your pranic sphere with Light. 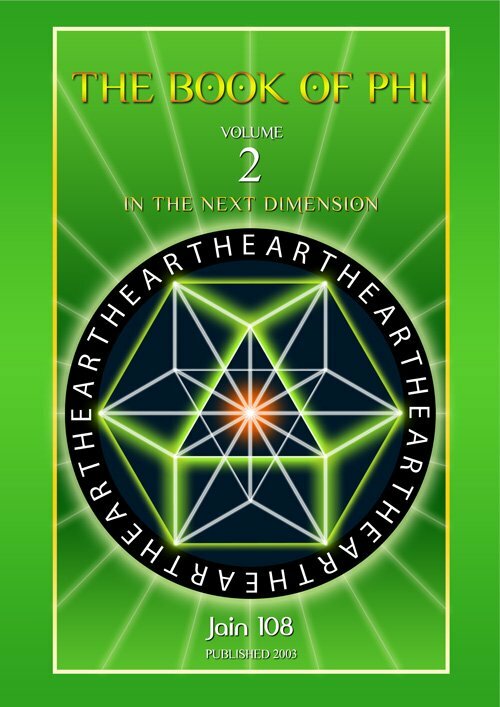 I will be having another whole book, in this series, just on The Earthheart Meditation.